New market research report “Global Aircraft Handling Service Industry 2015-2020 - Trends Forecast and Opportunity Analysis” elaborated by Lucintel has been recently published at MarketPublishers.com. The global aircraft handling service industry is poised for growth at 4.6% CAGR during 2015-2020. The major market growth drivers are a hike in aircraft movements, construction of new airports, and technology developments. Growing liberalisation, increasing participation of private sector players, and a rise in air passenger traffic are also contributing to the growth of the sector. Ramp services form the largest segment by service type, with the trend remaining unchanged over the forecast period. The operation of fueling segment is poised for the highest growth in the offing, underpinned by rising investments in the infrastructural developments of fueling facility by the various players operating in the industry. The ramp service and runway maintenance segments will likely demonstrate above-average growth in the foreseeable future. Geography-wise, Europe is projected to keep on dominating the market owing to the adoption of open-skies policies and increases in aircraft movements. The APAC region and RoW are expected to see huge growth in the upcoming years due to setting up of new airports, continuous expansion in the trade and tourism industry, and booming passenger traffic. Menzies Aviation, BBA Aviation plc, Japan Airport Terminal Co. Ltd., Fraport AG Frankfurt Airport Srvc Wrldwd, and SATS Ltd. are the leading service providers in the global aircraft handling service industry. A range of companies are opting for JV and M&A as strategic growth initiatives. The research report provides a complete guide to the worldwide aircraft handling service market, including a detailed segmentation analysis of the sector by service type and region. The study presents exhaustive data and analysis on trends, key drivers, and directions. 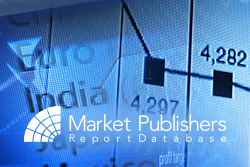 The competitive landscape assessment, top players’ profiles, and market forecasts are provided in the report, too. Market size estimates by value. Trend analysis of the global aircraft handling service industry from 2009 to 2014 plus forecasts to 2020, by segment and region. Segmentation analysis, including industry size by various types of services, in value terms. Regional analysis, including a breakdown of the industry by major regions – North America, Europe, APAC, and RoW. Analysis of growth opportunities in various segments and regions. Review of the competitive landscape including insights into new product development, M&A, and expansion strategies of the world’s suppliers of aircraft handling services. Discussion of emerging applications of the industry in various segments. Assessment of the degree of competition in the industry. More reports by the publisher can be found at Lucintel page.